I proclaim this year the Year of Me. The holidays were a blur and this week was spent sorting through everything with work and my home life. With too many 9 year-old boy home days and trying to get caught up days …. 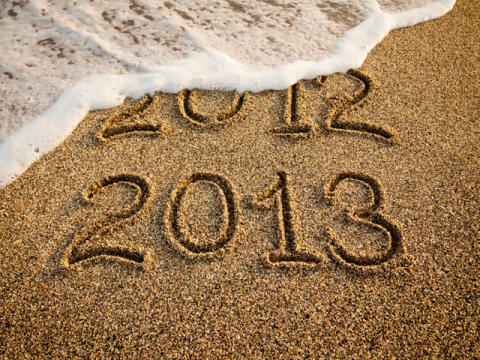 I have decided that today is the day 2013 starts for me. I started to process through the details of everything that happened last year. Then I started to question whether I was really able to discover any answers to my never-ending quest for balance. My search for balance has always been part of this journey to live an authentic life. It was like this underlying thing creating the foundation. If I could find a way to balance everything then the rest of this journey would just fall into place. What was this discovery process really about and what did I learn from the things that I accomplished in 2012? Is this more then a quest to find the balance between me as the business owner, me as Jake’s mom and me as my own person? All that sorting and questioning led me down the path where a familiar word kept following me in every place I went to search for answers. The word that kept popping up was authentic and the concept of finding what was truly ‘authentic‘ in my life It sounds like such a buzz word that marketing folks like to throw around but when I looked it up, this was definition: Authentic – not false or copied; genuine; real. So what is ‘genuine, real’ in my personal life, my growing business and my world of Mommy and Jake? I don’t think I could have answered that last year and now … well …I realize that I just started to touch on the answers to those questions with my Transformation Moments posts. That’s about as honest I can be with you all right now. As I continued to sort through everything, I found myself sharing my personal stories with a trusted mentor. She said something that struck me but it was so significant that I wanted to share. So here we go again … another year to continue to find the authenticity in my life. This is now the Year of Me. The year to find out what the message is I’m suppose to learn and to find out just what living an ‘authentic life’ really is all about. That message from your mentor is very, very powerful. All the best on your journey. I think starting when you were able to be fully engaged is a very good start! I am also a GREAT fan of Balance!!! YOU Start your year WHEN EVER YOU WANT!!! LOL Mentally noting! I’m still working on finding that elusive balance. Sometimes I think it might never exist and we go back and forth. I’m trying. I do know that everything is work!!!! NOTHING is easy!!! I like the attitude. Interesting words from mentor and quote from Angelou. I hope it is a great year fro you. Thanks for your support. Here’s to a great year for you too! I love the quote and the attitude. Here is to a great 2013.